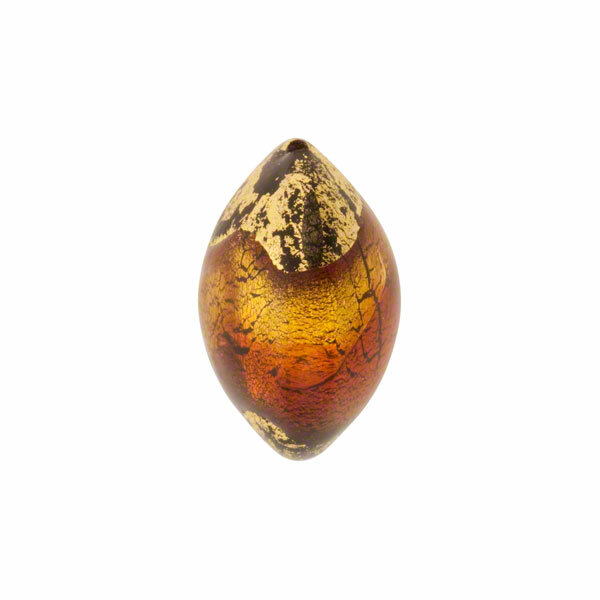 This is our Sole line named because the 24kt gold foil peeps out from under the great Murano glass colors like the sun. 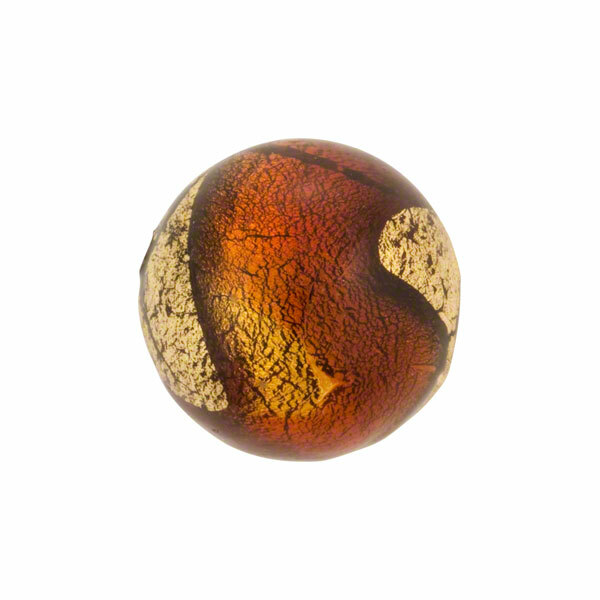 Beautiful deep colors over 24kt gold foil make this a dramatic Venetian Bead. Handmade in Venice. Size is approximately 160mm and slightly puffy with a 1mm hole which runs through the center. Note that the gold foil can be partially exterior. Over time this gold may rub off or be affected by lotions, body oils, etc. This is not a defect, just a part of this particular style. 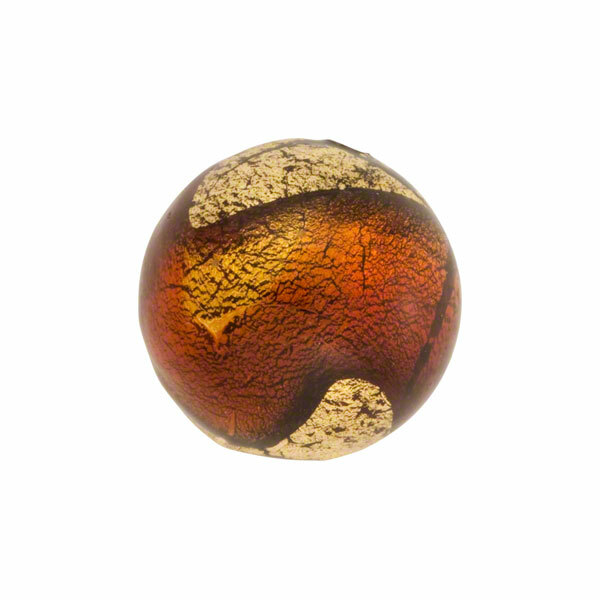 The colors in this one are shades of Topaz and Amber a very pale topaz Murano Glass.